People who work in Catholic institutions can these days find it difficult to speak coherently and comprehensively about what we mean by Catholic social teaching. I am part of this often difficult discussion given my role as the president of a Catholic university, as someone who participates in regular meetings of the Association of Catholic Universities and Colleges in Canada, and as a member of the board that oversees the work of Toronto’s three Catholic hospitals. Because we believe that human life is sacred, we also hold that its defence, from conception to natural death, is a responsibility that should be recognized by our laws and institutions. But our vision transcends the reach or remit of any human authority. Changing laws or, as Ireland is now trying to do, even changing the constitution, doesn’t make life any less sacred. For some time, Catholics and other like-minded believers have struggled to contest efforts by the increasingly secular societies around them to remove or otherwise undermine the laws that traditionally provided protections for the sick, the aged and the unborn. If anything, the situation is now more threatening, as governments attempt to limit the public space available to those who continue to believe that human life is sacred and should be defended. So we’re faced with the irony that the very foundation of Catholic social teaching is the contentious part, the part that, if we’re faithful to it, can make us feel unwelcome in the public conversation and, increasingly, in the public square. This feels, and is painful, unnatural and wrong. After all, we stand shoulder to shoulder with other public spirited members of society when it comes to feeding, teaching and healing, and when it comes to protecting the weak and fighting injustice. But we part company, often painfully and controversially, when it comes to the “life” issues. For some Catholics, the response to this truly tragic situation is, naturally enough, to accentuate the positive, to focus on the 90% of the agenda that we share with other socially-conscious friends, and simply to skip over the difficult topics. Often, there is an added rationale for doing this, the suggestion that some Catholics use the life issues as a bludgeon or wedge, the notion that there can be an un-Christian dimension to the defence of life. We need to think carefully about this, ensuring that we’re guided by charity and goodwill for all, even those we disagree with. But while we’re thinking, we also have to heed the signs of the times. This isn’t a static situation. Things are evolving rapidly in Canada, and the pace of change is particularly and ominously swift here in Ontario. What passes for public debate about euthanasia is steadily and heedlessly pushing provincial policy in the direction of where the Netherlands and Belgium already are. We’re moving so quickly that we’re not taking the time to think carefully about what’s actually happening in those jurisdictions. In Belgium, for example, early commitments about public oversight and review have conveniently been forgotten, and chilling examples of compulsion are beginning to undermine bland assurances of informed consent. We shouldn’t assume that this kind of thinking isn’t influencing policy on our side of the Atlantic. An Ontario court this week ruled that even doctors who find abortion and euthanasia morally repugnant must refer patients to doctors who will provide those services. Incrementalism is an effective means of undermining previously secure foundations. Meanwhile, Canada’s federal government seems intent on making support for its pro-abortion policies a litmus test for entry into the public square. The latest affront is the requirement that institutions applying for funding under the Canada Summer Jobs Grant program attest that their core beliefs align with government policies that include support for abortion. Thankfully, this has brought a strong and principled reaction from a coalition of faith groups, an initiative in which our own Chancellor, Cardinal Collins, is playing a leading role. 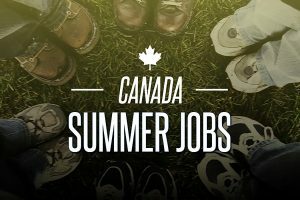 St. Mike’s hasn’t used the Summer Jobs program since 2015. Given the new requirement for an attestation, we will almost certainly not be able to use it in the future. The government’s suggested work-around, that institutions simply assume that the requirement for attestation doesn’t apply to them, is unacceptable to a Catholic university on a number of counts. First, this sends a terrible message to our students, whom we daily counsel to live their values to the fullest. Second, holding our noses and signing makes us both complicit and foolish, particularly if we comfort ourselves that this is a rare and not-to-be repeated assault on our values. There is a pattern developing here. When it comes to sharing the riches of Catholic social teaching we have a choice of two paths. One of them is easy, well travelled and popular. The other is difficult and often lonely. I think we all know, at some level, which road we have to choose. It’s timely to think of these things as Lent approaches, when we turn away from all the worldly temptations that obscure our view of the way forward, a way that leads inevitably to the Cross and our Creator, the Lord of life.